Cycling accessories need not be purely functional or designed only with sport in mind. There are now plenty of designers creating products and even whole collections that offer the functionality needed for urban riding, with the style required by the sartorially-minded cyclist. Plus, we want to show you that you needn’t forego your ethics in order to find a bag or bike helmet that looks cool and performs well. Here are ten brands, in no particular order and all available online, who offer something special for those who like to cycle in style. Urban-inspired tweeds woven with reflective yarns make Dashing Tweeds’ accessories both stylish and highly practical. Their Musette Cycling Shoulder bag is just one of a sophisticated collection of bespoke and ready to wear cycling accessories ranging from their British-made leather ‘Cycling Gauntlets’ (gloves in top image) to their footwear collaborations with Converse and Boxfresh. Dashing Tweeds want their cloth to last and so they work with, in their words, 'the best British mills and workshops' where the yarn is dyed, finished and woven. Re-engineered from decommissioned British fire hose, the Mini-Messenger bag from Elvis & Kresse is possibly one of the coolest, yet most hard-wearing cycling bags you'll find. The classic red fire hose, designed to withstand major wear and tear, has been saved from landfill and serves as the perfect material for its reincarnation as a durable, water resistant accessory. Just the right size for a laptop, features include an adjustable strap so it can be worn close to your body, an exterior pocket, flap with magnetic closure and lining of military-grade parachute silk. What's more, 50% of the profits from the fire hose range are donated to the Firefighters charity. Michaux takes its name and inspiration from the Michaux Cycle Club, founded in 1895 at a time when women were not allowed to cycle in public. This forward-thinking New York organisation gave women independence by enabling them to ride. 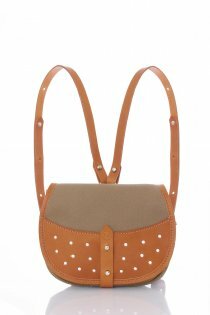 Like each one of Michaux’s accessories, the Shadow Saddle Bag is hand-crafted in the Lake District, on the factory’s original 300 year old site. 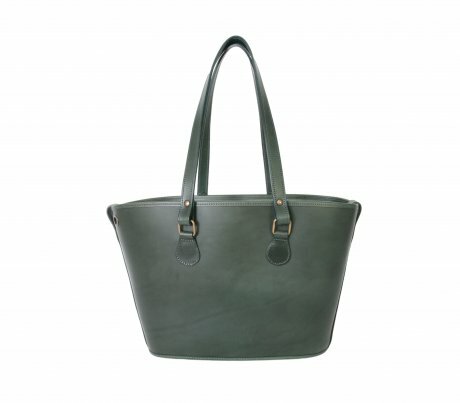 Waterproof canvas is combined with high quality English veg-tanned leather backed with reflective material. 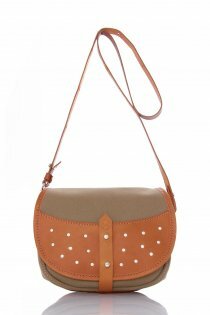 The versatile, multi-purpose design of the Shadow Saddle Bag means it can be worn as a shoulder bag, backpack or attached to your saddle or handlebars. Buckitt founder Rae Jones told us her love of cycling inspired her design choices for the Buckitt Bag: ‘it was one of the main reasons I designed it with a longer strap, so it can be worn cross-body and you can be hands free...it also fits perfectly into a bike basket as well.” These practical, beautiful bags are produced using vegetable dyed Italian leather at a factory near Manchester which, despite having 100 years of leather manufacturing experience, has been at risk of closure due to luxury fashion clients moving production overseas. Keen to support local industry and keep British craft skills alive, Jones hopes that by manufacturing at this British factory, Buckitt can help it stay open. Careful thought has gone into the whole life of the bags: they are designed to be repaired (tired parts can be replaced) and their high-quality materials and expert construction means they will last many years to come. Fairtrade footwear and British trainers - these shoes are made with care! Made in Brazil from organic cotton, veg-tanned leather and wild rubber from the Amazon, these Esplar trainers are as ethically sound as they are stylish. For the current season, Veja developed an all-leather version of the Esplar, which may help keep feet a little dryer on rainy cycle rides. This is a brand that cares deeply about transparency – they are the first to admit they can always improve their supply chain. Veja are certified Fairtrade and organic, but view these standards as minimum and constantly strive to increase their positive social and environmental impact, while reducing the negative. 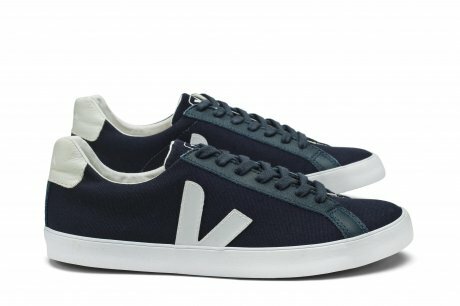 Interestingly for an international trainer brand, Veja do not advertise but instead, ‘the resources saved are integrated into the production chain’ which means well made products at a fair price. If you’ve ever wanted to know how trainers are made, then have a look at Walsh’s website, which serves as a virtual masterclass in sports footwear production. The team at Walsh are certainly qualified – in 1948 founder Norman Walsh, then an apprentice aged only 16, hand-made shoes for the British Olympic running team. He went on to establish Walsh in 1961 who, now renowned for their colourful ready-to-wear collections, originally produced made-to-measure footwear for rugby, football, cricket and running. 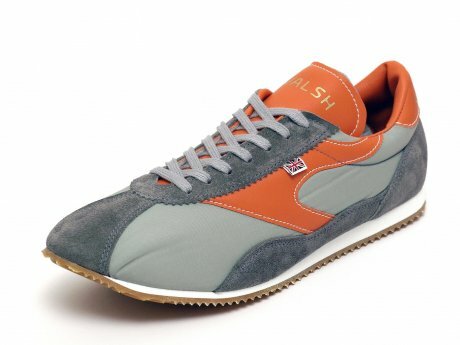 Walsh have have been manufacturing men’s sports shoes in Bolton, Lancashire ever since, and their online vintage shoe archive, catalogues and correspondence offer a great insight into the brand’s history. The lightweight Cobra shoe is one of their Casual Heritage styles, which celebrates their esteemed 50 year history. On a chilly day a keen cyclist will no doubt need some neck protection, but what you don’t want is a scarf that keeps coming undone or is so tight that it causes you to overheat you when you pick up the pace. 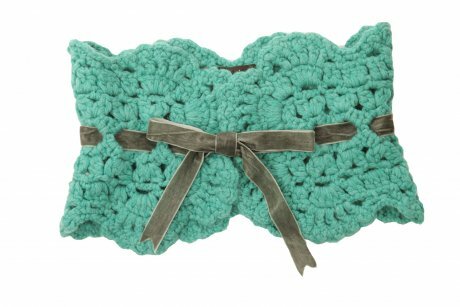 When you want to feel a little more sophisticated on your cycle ride, this gorgeous hand-crocheted Virgin Wool Neckwarmer from Lowie adds a touch of elegance. Inspired by traditional handicrafts and committed to ethical production, Lowie founder Bronwyn Lowenthal designs charming, colourful and beautiful pieces whilst aiming to pay producers a fair wage. And because Lowie wants its customers to be able to wear their garments and accessories for a long time, they offer a free repair service on pieces from past collections. 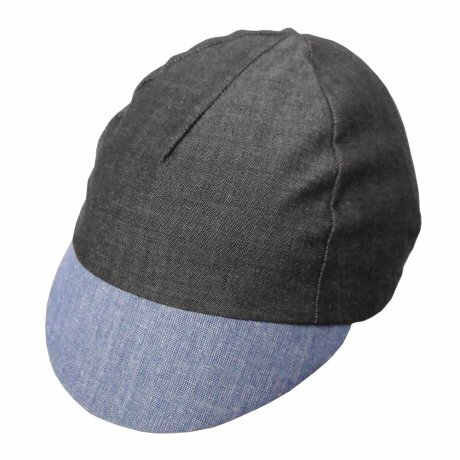 Designed and hand-made in Glasgow from organic Fair Trade cotton, this Charcoal Cap from Route Clothing happily combines ethics and aesthetics. Though it can be worn alone, we are told this slimline cap also works well under a helmet, which would be perfect for hot climes when you need to protect your eyes from the sun, or for drizzly days to shield against driving rain. Plus, you needn’t worry about helmet hair, as next time you take off your helmet, your head will already be dressed in this cool cap. The good people at Route are always on the lookout for ways to reduce their environmental impact, and as committed cyclists, they even make local Glasgow deliveries by bike. Cycling helmets are not renowned for their style credentials, nor have they ever really cut it in the sustainability stakes. The materials traditionally used in their manufacture are packed full of environmentally unfriendly chemicals and polystyrene which makes them difficult to dispose of or recycle. Urge Bike Products however aim to use ‘less polluting’ materials in their range, whilst maintaining the important safety standards. 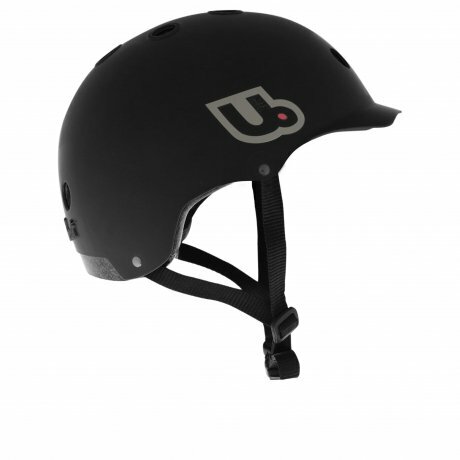 The Activist helmet has straps made of recycled PET (a kind of plastic used for drinks bottles among other things), an inner shell of recycled EPS (Expanded Polystyrene), and instead of using paint and stickers for the raw ABS (high-impact resistant thermoplastic) outer shell they use dyeing and a relief logo. Having searched high and low we think its clean, simple lines, unfussy branding and sustainability creds make it a pretty good, affordable option for a style-loving urban cyclist. South Shore Bicycles, parent company of Urge Bike Products, also donates 1% of its turnover to protect the planet. 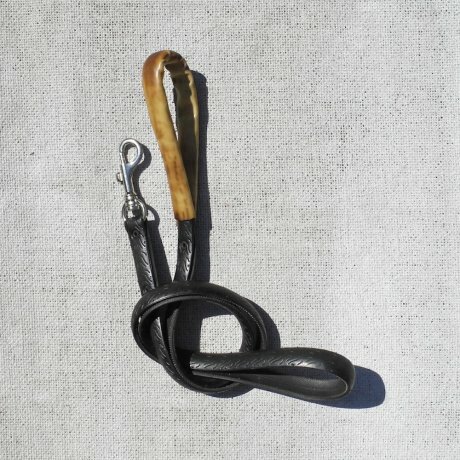 Ok, so this isn't neckwear for people, but this Berliner Roadie Dog Lead by Houndworthy is made of recycled bicycle inner tubes and would be perfect for the urban dog-owning cycling enthusiast. Depending on your bike (and your dog), you may be able to attach the lead and let them run alongside you. Houndworthy sell a very nicely thought-out collection of 'Hound Goods' including Travel Totes made in Germany from organic cotton and lined with cosy undyed sheep's wool, as well as Yorkshire tweed dog coats - perfect to keep dogs warm on the cycle ride, whether they are small enough to sit in your basket, or setting the pace next to you. Their selection of 'People Goods' include lovely UK-Made Fairisle woolen arm warmers which would be great for cyclists, regardless of whether they have a dog.